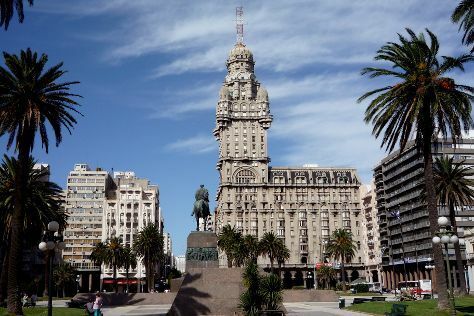 With a rich cultural scene and plenty of developed beaches, Montevideo vacations appeal to a growing number of visitors from around the world. Founded in the 1720s, this energetic capital proudly preserves its rich history and heritage, boasting both tall skyscrapers and a string of Neoclassical buildings largely responsible for the city's European flavor. Among the most popular things to do in Montevideo, walking tours of the old town reveal a compact neighborhood packed with prominent colonial-era buildings and major cultural institutions. The city remains one of South America's most entertaining centers, offering visitors a chance to explore renowned theaters, lively beachfront clubs, and cozy tango bars. Montevideo is in Montevideo Department. Find what you're looking for from your Montevideo holiday, by planning the whole thing with us using our handy Uruguay tour itinerary site .